Whether you are a morning person or not, here are some tips to simplify your morning routine. As a mom, not only do I have to get myself ready, but I help my kids get ready too. The secret to streamlining everyone’s morning routine is starting to prep the night before. It really does make a big difference. Here are some tasks that you and your kids can perform to get everyone out the door ON TIME! Pack school and work items so they are ready to go in the morning. 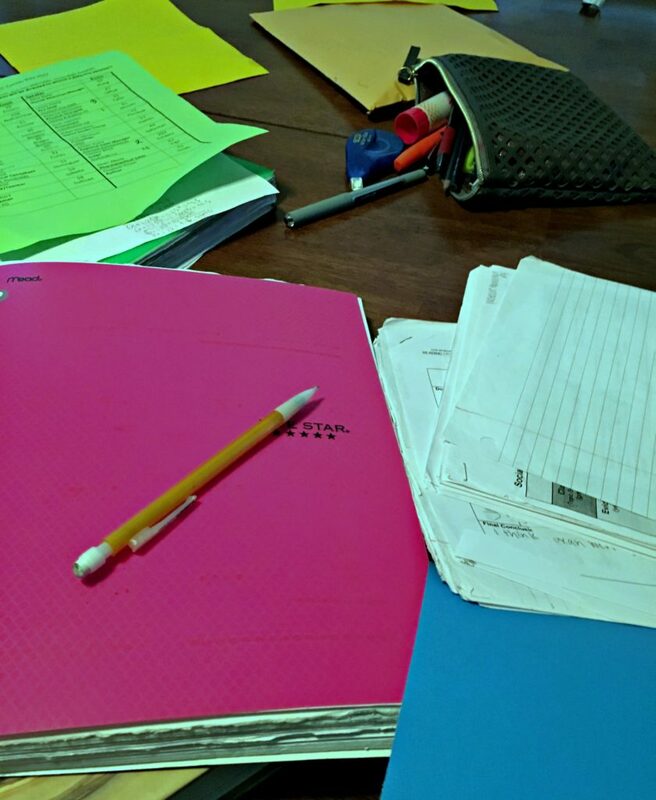 Don’t leave books and papers scattered on the desk. If you pack it all the night before, then its one less thing to worry about in the morning. Prep lunch(es) the night before. Clean and cut fruit/veggies and package them. Make a sandwich or pull out a thermos for hot food. 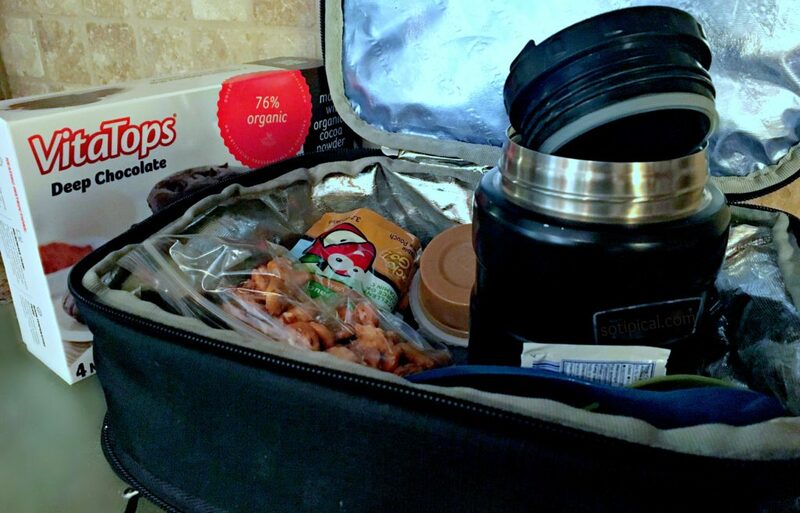 Add bars, chips, snacks, etc in the lunch box so you don’t have to do it in the morning. I pull out some Deep Chocolate VitaTops MuffinTops from the freezer and pop them in the fridge to defrost overnight. My kids love them as dessert after they eat lunch. I love to indulge on a healthy and decadent chocolate VitaTops MuffinTop mid afternoon or after dinner. They’re low calorie, low fat and full of yummy, chocolatey taste! 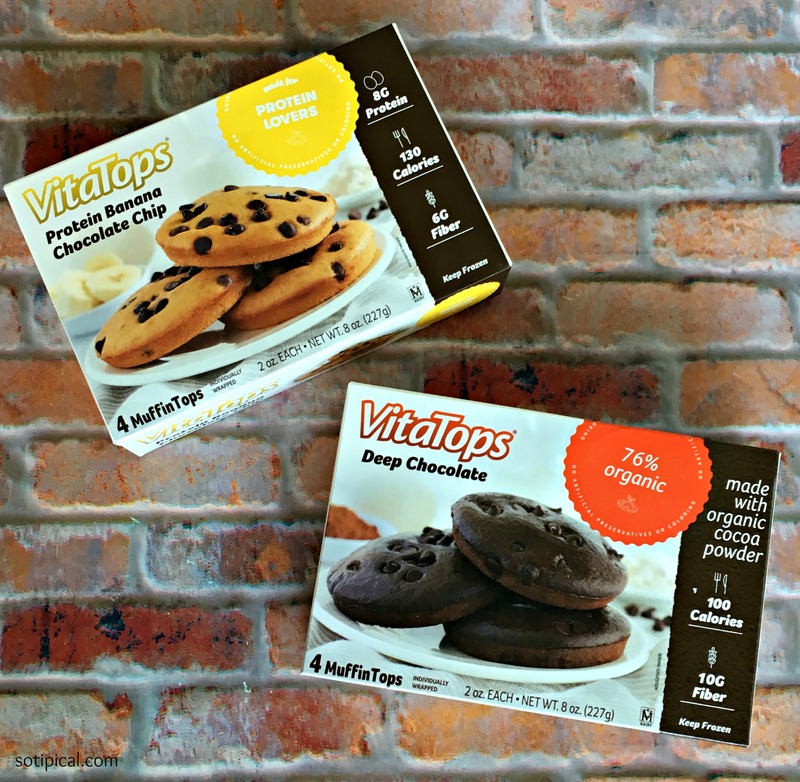 All the deliciously indulgent VitaTops MuffinTops use only clean and simple ingredients, and offer a wide range of nutritional benefits. Fill up water bottle and place in the fridge. This can save 10-15 minutes! Trust me, I’ve timed it! Declutter your “getting ready” area. Whether this is your bedroom or bathroom, put away anything you don’t need and clear a space. Pull out your toiletries and/or makeup, neatly and ready to use. Check the next day’s weather and lay out appropriate clothing and shoes. There have been times where we didn’t lay out clothing the night before and spent 20 or more minutes choosing an outfit in the morning. TWENTY minutes wasted! 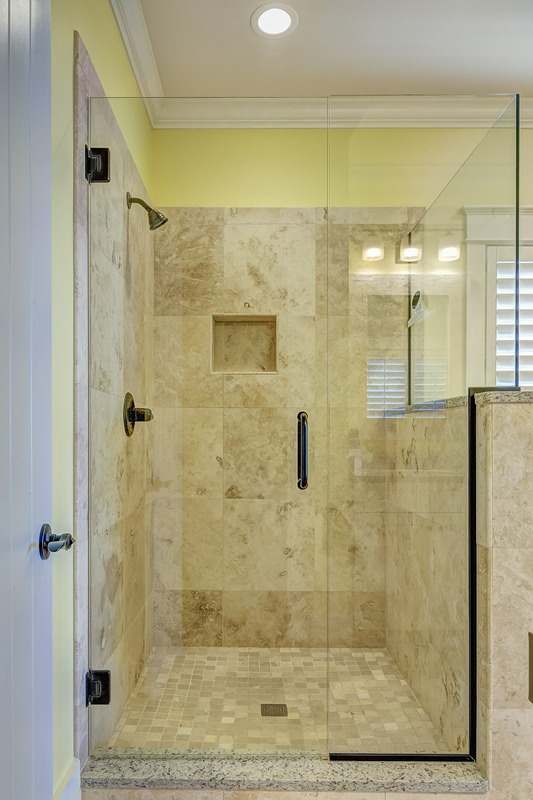 Shower in the evening. This can save 10-15 minutes of showering time plus 15-30 minutes of hair drying time! 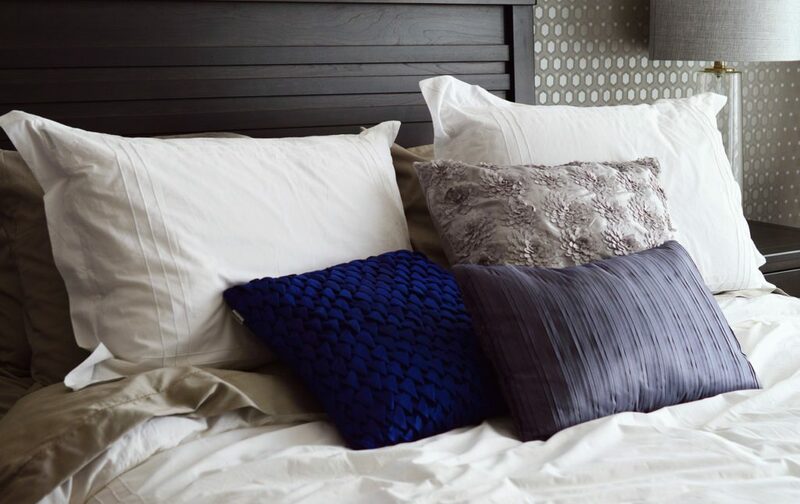 Did you know that sleeping on a silk pillowcase not only help to tame hair, but reduces creases and “sheet marks” on your skin too? Double win here! If you blow out your hair at night, pull it up with a good old 80’s scrunchie on top of your head. It will help to add volume, keep style tame and the scrunchie is less likely to crease your hair, like a traditional hair band. Go to bed at a reasonable hour. 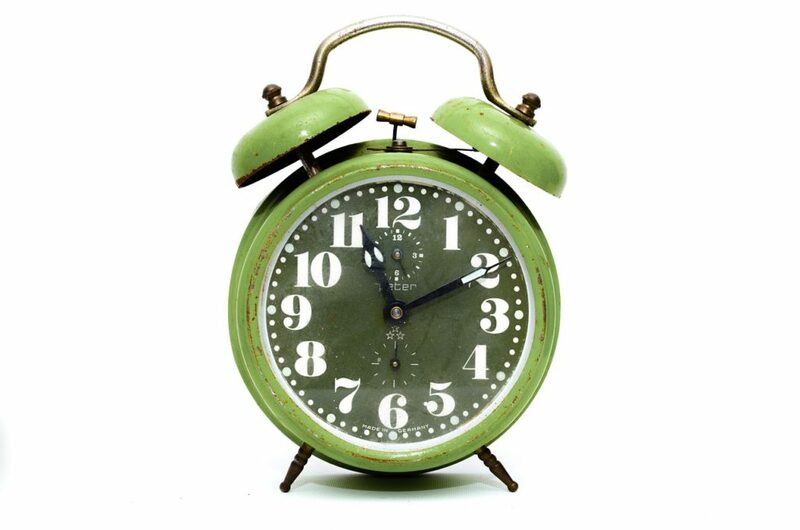 Set your alarm and place it away from your bed so you have to get up to turn it off. If you are a snoozer, set it 15-20 minutes earlier. Avoid watching TV and checking your phone before bed. Plug it in away from your bed so you are not tempted to be on it longer, when you could be sleeping! Give yourself 5 minutes to set a positive tone for the day. Don’t check your phone yet! Think of or write down 2-3 things that would make your day great. Then, think of 2-3 things that make you happy and are grateful for. You can do this as you quickly make or straighten up your bed. Drink a glass of lemon water while you get ready. It hydrates, reduces inflammation, reduces mucous, boosts energy and is good for digestion. Exercise or stretch. Even if is is just for 5 minutes! Do something to get your blood and endorphins flowing! Get ready and get dressed! Everything you need is laid out and ready! Have an easy and healthy grab and go breakfast! 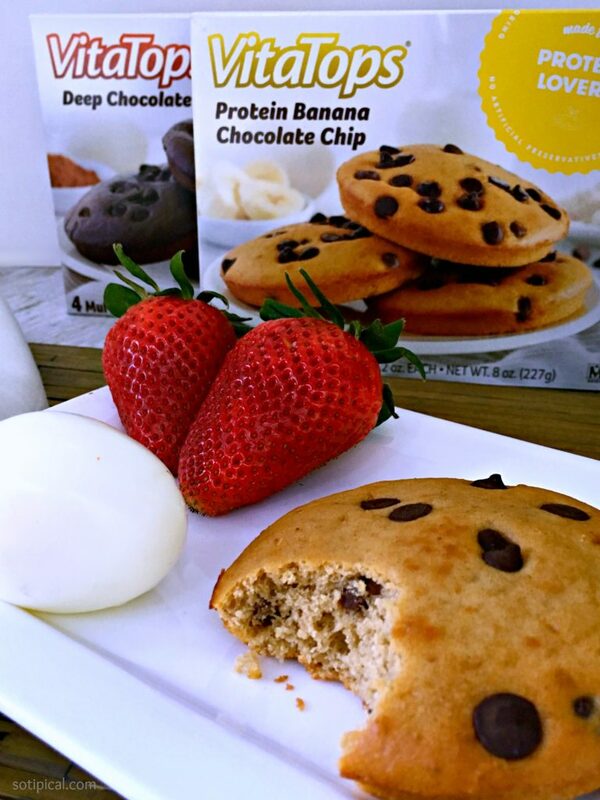 One of our favorite grab and go breakfasts is a Protein Banana Chocolate Chip VitaTops MuffinTop with a hard boiled egg or a serving of Greek yogurt. I was thrilled to find my Kroger store carrying this flavor! I previously purchased Deep Chocolate and Wild Blueberry. You can find them in the frozen breakfast or natural/organic freezer sections of Kroger, Stop & Shop, Shop-Rite and Target. Learn more and find your local retailer HERE. Flavors include: Organic Deep Chocolate, Organic Wild Blueberry, Superfood CranBran, Protein Banana Chocolate Chip, Protein Lovers Chocolate Peanut Butter Chip. Then GO! Your stress level should be lower and you should be ready to take on the day! After planning this morning routine for a couple of weeks, it will become habit and getting ready in the morning will be a breeze! Your kids will get used to this morning routine also and as they grow older, they can take on more of these tasks for themselves. Everybody wins! 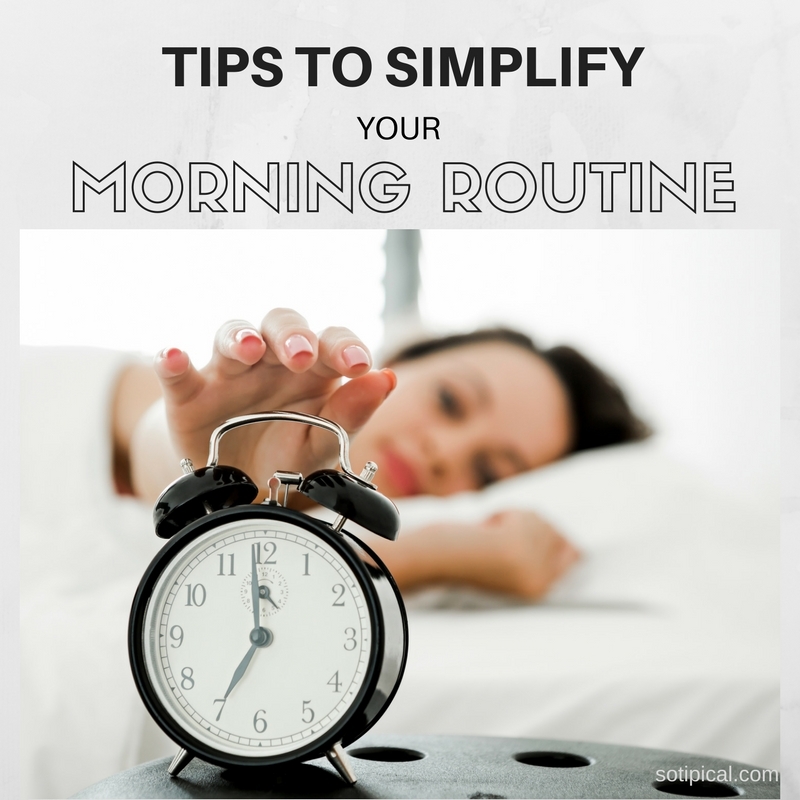 If you have additional tips for simplifying a morning routine, let me know in the comments! These are such great tips! I’ll be trying them! You had me at banana chocolate chip! I’m awful about skipping breakfast (such a bad habit, I know), but these would be the perfect quick way to start the day! I’m loving all of these tips!! I will definitely be trying some of them out! Love that Vita Tops now have extra protein too!